Home Headlines Is time running out for AVB? Is time running out for AVB? Liverpool demolished a fairly lackluster Tottenham side in the Sunday afternoon game winning 5-0 with goals from the unstoppable Luis Suarez, Jordan Henderson, Jon Flanagan and Raheem Stirling. Surely Tottenham should be performing better than they are with the players they have in their repertoire. Tottenham did the sell of the century in the Summer transfers, selling Gareth Bale for around £90 million which gave them plenty of money to buy some of the top players in the world and push themselves into title contention right at the beginning of the season. However, the results prove otherwise, losing 6-0 to Man CIty and 5-0 this weekend to Liverpool. Spending all the money they got for Bale on seven new players, somebody should be making a difference for Spurs, but apparently not. Every game so far this season seem to be lacking some excitement, something special that all the players that signed gave to their previous clubs. This then begs the question, Had he made a big mistake letting Bale go despite his price tag? At the moment it seems that way, Spurs clearly miss that spark of excitement that Bale gave to the team in every match he played in. fans could even see it last season in the games Bale wasn’t playing in, Spurs were a completly different side. 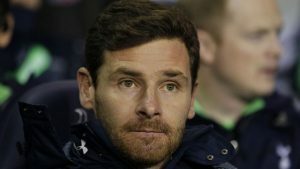 AVB has recently been questioned by the media as the whether or not there is tension between him and the owners, but he gave nothing away and committed himself to the club. Fans and media can definitely see it another way, sitting in 7th with the worst goal difference in the top half of the table. Tottenham need to start producing the results that they are capable of if they are to prove outsiders wrong, becasue right now it just looks like poor business by the manager.